Plug-In-Digital, Voxler and NoClip are proud to announce that the widely acclaimed Zombie Night Terror will offer frighteningly fun rampage to Nintendo Switch players starting today. 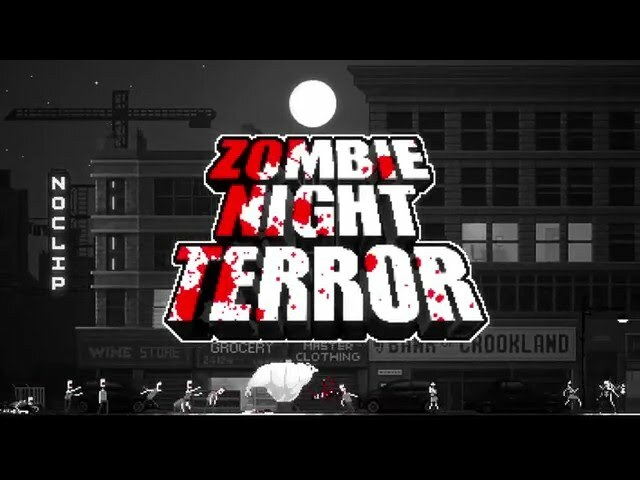 Previously released on PC, Mac and Linux, Zombie Night Terror is a lemmings-like game teeming with hordes of zombies aiming to destroy humanity. Spread terror through 50 levels and enrol more zombies into your undead army. Along the way you’ll have to solve brain tingling puzzles, and fight increasingly powerful foes that are hell-bent on staying alive. The closer you get to total world extinction, the harder survivors will fight to put you in the ground….for good. Blood, tears, non-sexual moans, inappropriate laughter, and tons of puzzles that will literally blow your brains out... This is Zombie Night Terror ! Command a Zombie Horde: You are the brain, they are the muscles. Your zombie horde will obey your commands without any strike risk or complaints … On the downside, you can’t have any heated conversations about late night movies or cool books anymore though! Unique Mutation System: Having an army of deadly zombies is awesome. Having an army of mutated zombies is way better! Take advantage of the mutation system to overcome the enemy’s defences, by creating powerful new zombie types. Each has their unique power and abilities that can help you overcome different situations. Combo System: Facilitate your meat feast by combining mutations and see what your enemies are made of (literally). Let’s show those pesky humans how to have fun! You are not alone: Keep your zombies well fed and busy, that’s what humans are for! But beware, humans are also well armed and they do not appreciate the toothy company of the undead. Contaminate: Need a bigger horde? Well, just convert Humans to your cause! You don’t necessary need to be charming, as a single bite right into the neck (or anywhere that pleases you) should be enough to do the trick! Zombie Night Terror is now available on the Nintendo Switch eShop at $14,99 / 14,99€. It’s available in English, French, German, Polish, Portuguese, Russian and Spanish.